This accessory fits our Ultimate Growler and features a ¼" flare gas input fitting and a picnic tap output. Just snap this onto your Ultimate Growler (our item number I53) and be able to dispense your beer from the growler with C02 added to the ¼" male flare fitting input. This fits our D53 Female Flare Micro Regulator, and also fits many of the simple C02 Injectors made by Innovations and others. 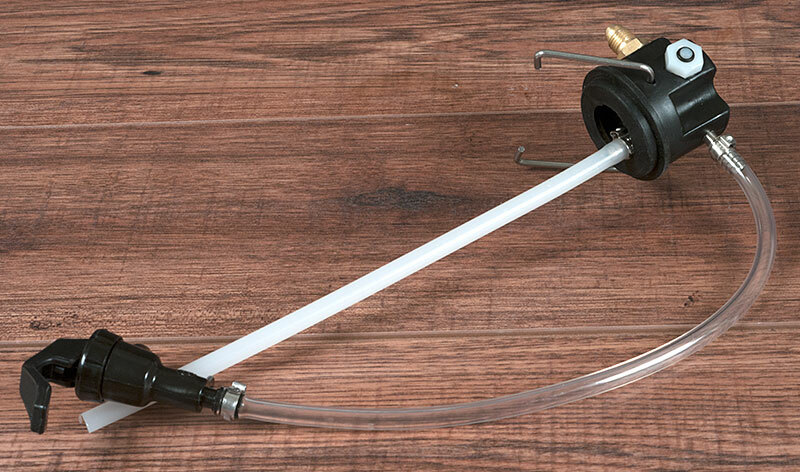 You can also easily attach this to a full sized C02 bottle and regulator, using a few feet of our item D38 Gas Line and two D66 Barbed Adapters to give your finished gas tubing assembly ¼" threaded flare fittings. 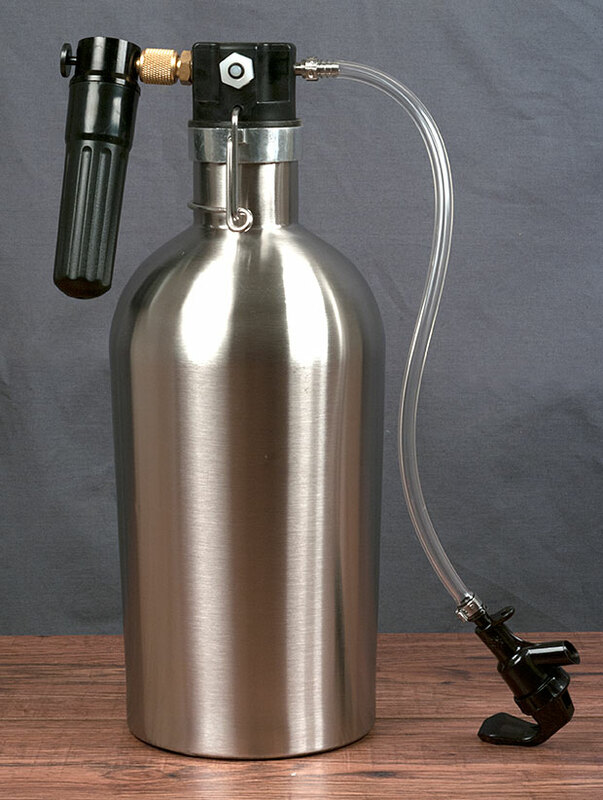 Features a relief valve for safety that releases at 15 psi, and silicone growler seal for durability. 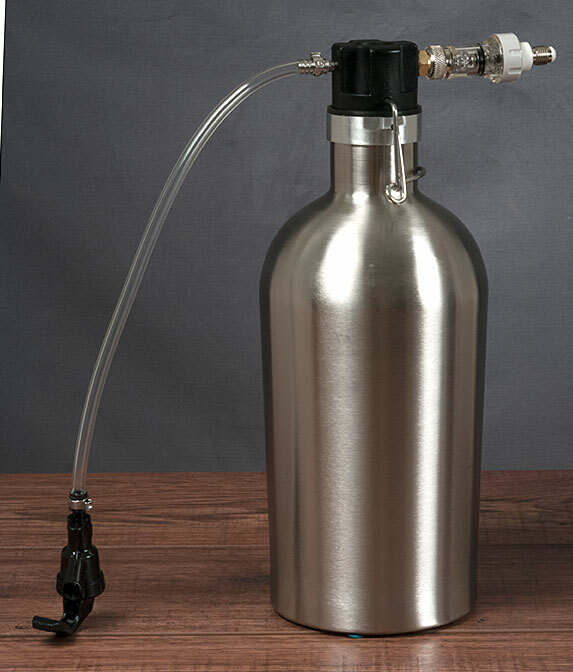 The ultimate growler for beer on the go now gets a dispensing tap. 1. It does not have a check valve on the gas inlet, so it must be kept upright and connected to gas when full of beer (unless you buy an optional D37 Check Valve). 2. Needed Ultimate Growler (our item I53) not included. 3. 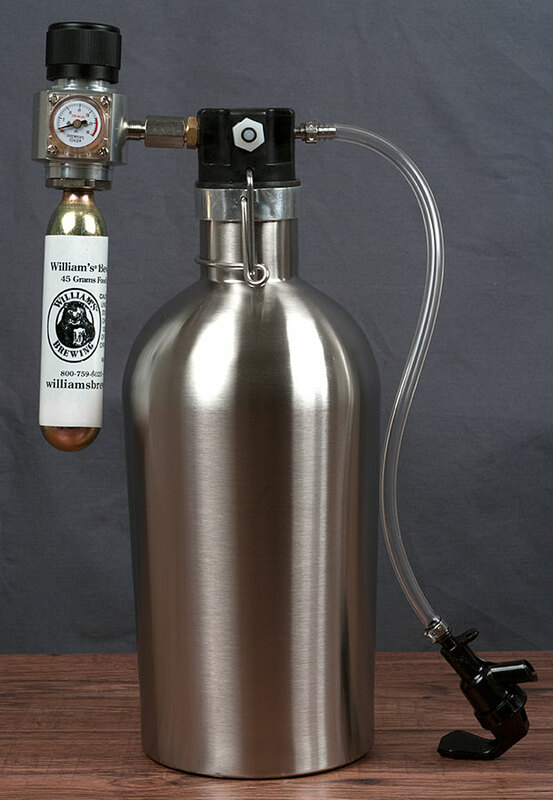 Fits our Ultimate Growler only, does not fit other model growlers. The rubber washer under the brass fitting failed. What size is it, or can I order a replacement? Sorry, but we don't have any replacement o-rings for that. You should be able to find one at a good hardware store if you bring the part with you. I would also recommend using some pipe thread compound TFE paste or Teflon tape on the brass fitting threads before installing it and don't over tighten it or you could tear the o-ring. Can this fit a Man Can growler? Is it possible to get change out the picnic tap barb connection with a threaded connection? Unlike the threaded gas inlet and check valve ports, the exit port barb is press-fit, and cannot be easily removed. 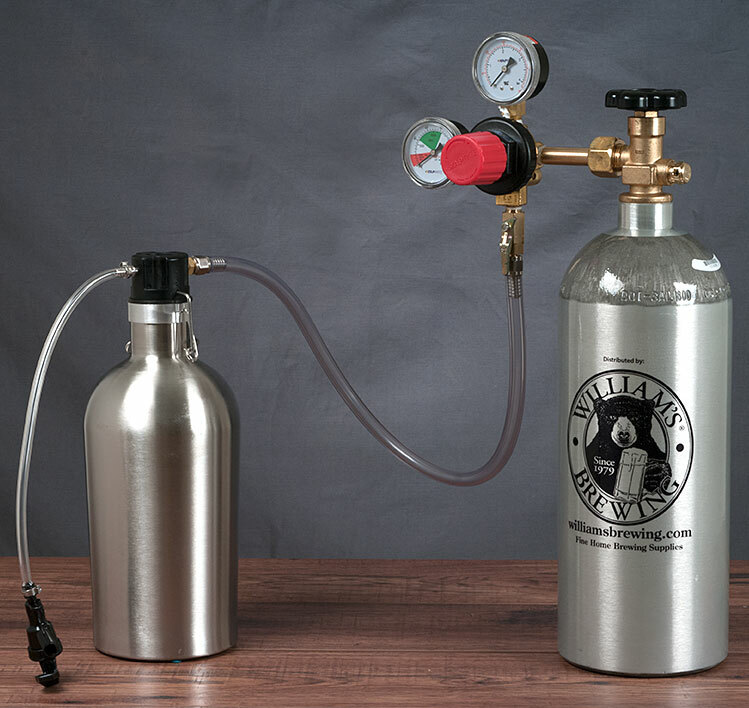 Can the fittings be replaced with M1/4 flair so I can connect this to my keggerator? The gas inlet on this head is 1/4" male flare. It is screwed into a female plastic port that is threaded 1/4" NPT. I hope this helps.